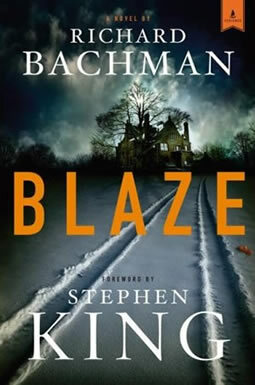 Blaze | What a book! Simple story, but it’s a nice one. It’s the story of a grown dimwit, now trying to pull off a complicated heist planned by his former parter in crime. It bounces back and forth from Blaze’s childhood and the present. Great look at a kid forgotten and what happens later in his life. Love the looks back in the past, the characters and simple story. It’s a few years old, I found it in the bargain bin. YOU’LL LIKE THIS IF: You liked the movie “Sleepers”, Stephen King’s “Shawshank Redemption”.